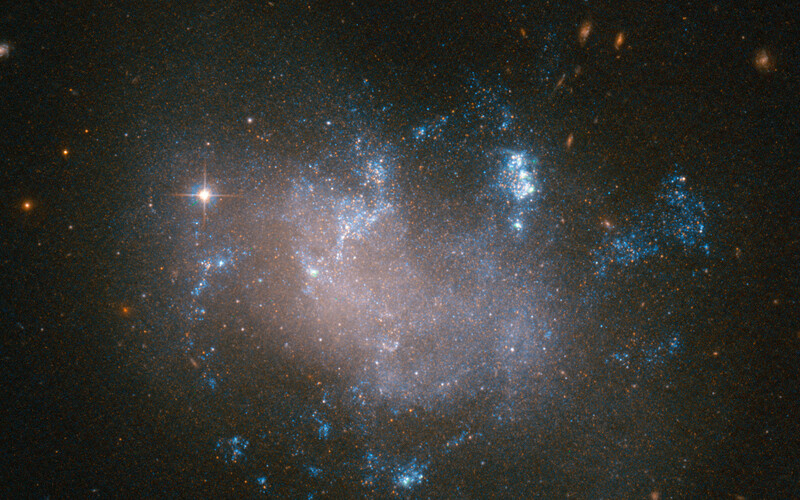 Glowing warmly against the dark backdrop of the Universe, this image from the NASA/ESA Hubble Space Telescope shows an irregular galaxy called UGC 12682. 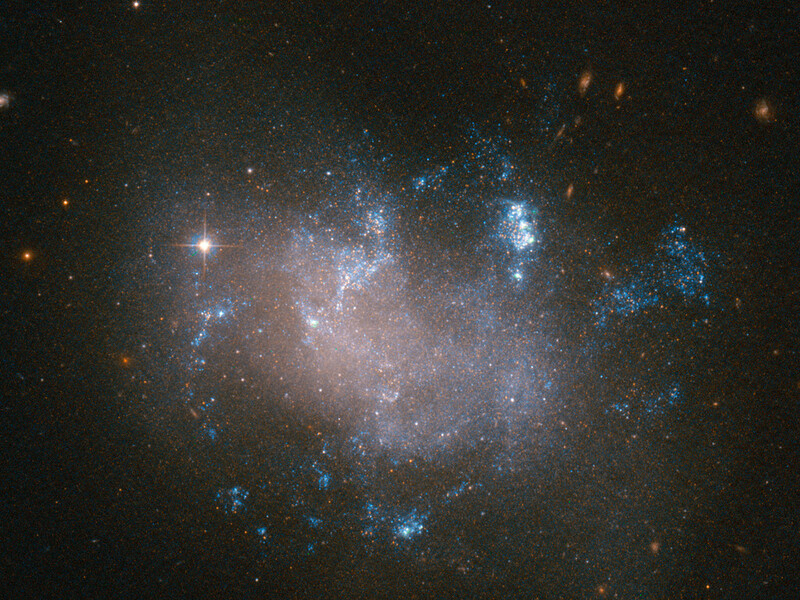 Located approximately 70 million light-years away in the constellation of Pegasus (The Winged Horse), UGC 12682 is distorted and oddly-structured, with bright pockets of star formation. In November 2008, 14-year-old Caroline Moore from New York discovered a supernova in UGC 12682. 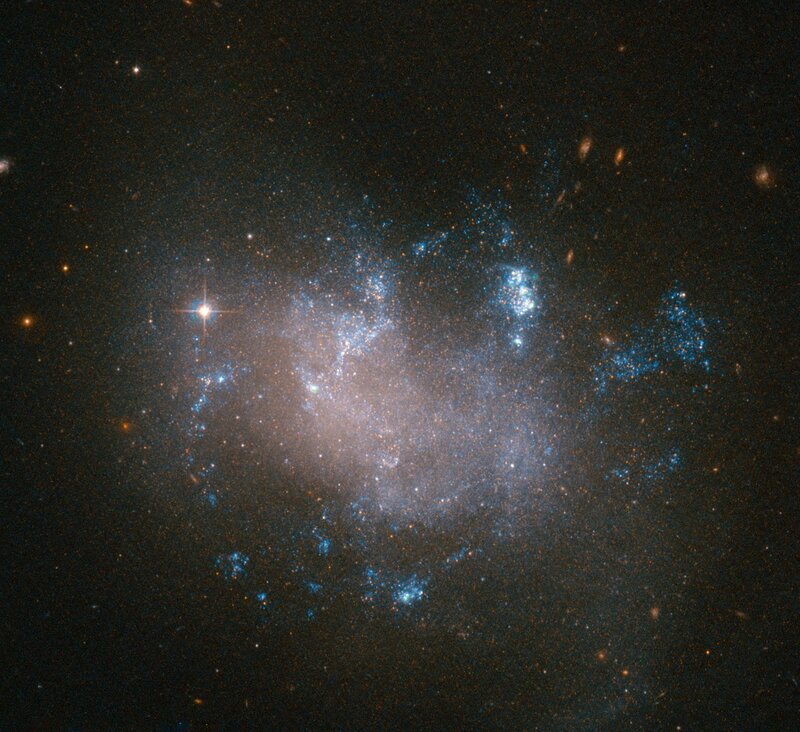 This made her the youngest person at the time to have discovered a supernova. Follow-up observations by professional astronomers of the so-called SN 2008ha showed that it was peculiarly interesting in many different ways: its host galaxy UGC 12682 rarely produces supernovae. It is one of the faintest supernovae ever observed and after the explosion it expanded very slowly, suggesting that the explosion did not release copious amounts of energy as usually expected. 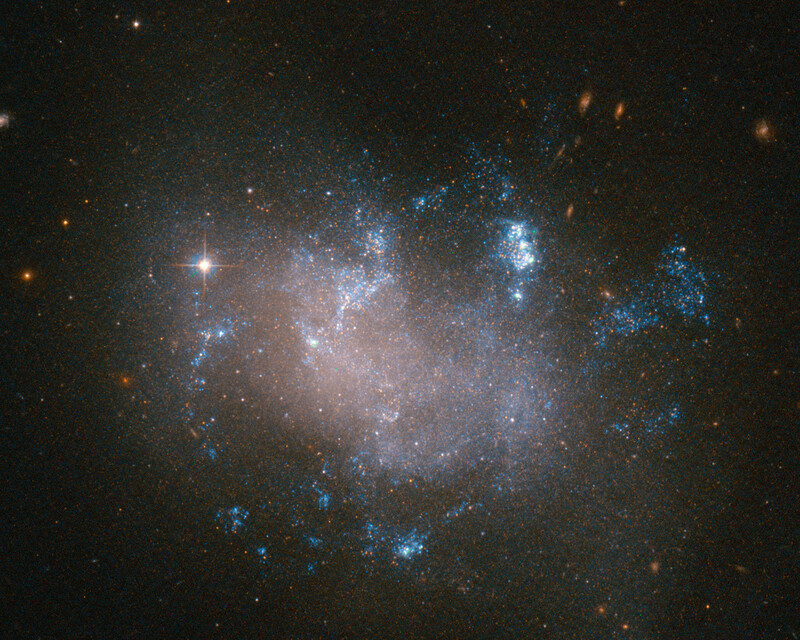 Astronomers have now classified SN 2008ha as a subclass of a Type Ia supernova, which is the explosion of a white dwarf that hungrily accretes matter from a companion star. SN 2008ha may have been the result of a partially failed supernova, explaining why the explosion failed to decimate the whole star. Position (Dec): 18° 13' 38.82"